A man (and it’s usually a man) lives a life of quiet desperation among the English lower-middle classes. He dreams of something better, but when he tries to realise his dreams he finds the stultifying weight of society harder to shake off than he had imagined. Worse yet, perhaps he finds himself not quite up to the challenge. How many novels does that describe? Quiet suburban desperation is well-explored territory for the literary novel. There were a spate of them in the 1960s though the trend goes back much further. Even today they haven’t gone away. I doubt they ever will. It reads to me like directions in a screenplay. The stage is set. The day is a momentous one, far from ordinary. Both men’s lives have transformed within the past 24 hours. Even so, there’s little sign of it as the day begins. The first section of the novel deals with their morning in the office: clients phone up asking for people to be placed with them; potential employees come in for interviews hoping to be given work; Corker and Alec chat a bit. Alec is trying to make sense of the world. He has categories that he tries to fit all his experiences into. One is “office day“. Another, a new one, is “having Jackie“. He’s starting to realise that the world may be much larger than he imagined and that there may be a great deal that he can’t neatly file. Corker’s internal reverie is quite different. He thinks about his life, about himself and his own innate uniqueness (there are no other William Tracey Corker’s in the world), about women and age and all manner of things. The difference between the mundanity of his job and his flights of thought is jarring and true. If I had to trace a graph of my interest in this novel it would start high (a Berger! ); as the novel progressed it would dip slowly down falling eventually quite low (again with the mental filing Alec? How many clients do these people see in a morning? ); having hit a dangerous low point by the half-way mark it would start to make a wavering recovery as after lunch Corker and Alec start clearing the upstairs rooms so that Corker can move into them (Corker’s interior world so unexpectedly rich); it would rise further as the day ends and the story moves to a church hall that evening where Corker is giving one of his regular talks and slideshows on the subject of his most recent foreign holiday to Vienna; and it would stay high from there. Berger here contrasts Corker’s outer and inner world, and Alec’s too but Alec’s is far narrower. He has not travelled as Corker has. He has not lived years in frustration with a woman to whom he is related but for whom he feels little affection. Alec sees life opening up before him and Jackie showing him worlds he never dreamt of but that were always present. Corker sees his world closing down and wants to seize some of it while he still can. Corker thinks: Something I said made him cross. He was quite rude about what I was telling him about the Blighty ones. It’s always the same thing – if you give an inch, he takes a mile. Corker knows: I have been telling him lies, ever since lunch I have been telling lies. This lying is not altogether deliberate on my part. My memories are lies, yety the are, when all has been said and done, my memories. So I do not know how I can talk about the past and not lie. It is true that I want to impress Alec and so sometimes I embellish even the lies that are my memories. For instance: many men shot their hands off in the war. I saw one man who had shot his hand off. I told Alec I had seen many so that he should not believe I was making a fuss about my finger. I know that I want to impress Alec particularly today. Corker thinks: He’s taking advantage of me. Corker makes believe: He will walk out on me today of all days. He is down by the front door now. He is leaving me in the lurch. Corker thinks: Funny how I can’t help being fond of him too. And that’s the trouble I daresay – I’ve spoilt him. A nice mess I’d be in if he did leave me in the lurch now. A voice screams: Abandoned again! Again! Corker makes believe: Sir Lancelot for his sins is put to shame and lies defeated in the wood. On the ground he groans but no man pays him heed. He heard their voices. ‘Tis the end of Lancelot, they said. It’s a long quote I know, but I wanted to get across the unsparing honesty of it and the contrast between thoughts, fears and fantasies. In this incident the internal monologues, dialogues really, extend for a few pages. Later at the church hall there is a much longer section exploring thought, knowledge, fantasy, what is actually said and what is projected on the screen all alongside the internal thoughts and reactions of the audience. It’s a world in a drop of water. In Wind, Sand and Stars Antoine de Saint-Exupery thinks about how each person carries a world inside their head. He talks about the miracle of consciousness and of how it can lie sleeping and how it can be woken. Corker’s freedom is partly the freedom of his own self-awareness (though Corker’s freedom can be interpreted in a number of ways some more pressing than that). When we deal with each other in life we deal only with one small aspect. As I ask a post office clerk to issue me with some form for all I know within their head I’ve (barely) interrupted their seduction of a movie star; their successful battle against star-pirates; their recreation of a day out last year with their children; their dream of leaving home and job and everything and painting in the South Seas. This is why I love Berger. Few novelists make me think as much as he does. At the village hall Corker gives his talk and the contrast between what he says (bogged down in tedious detail and irrelevancy) and what he wants to say (about how to live) is painful. As the evening draws on his desire to break the barrier between what he says and what he thinks grows ever stronger. His life is ordinary and yet has potential for glory within it, even if it would be glorious only to him, even if it would be absurd to everyone else. The same could be said for a great many people. This is a book about the gap between surface and content. When Alec meets Jackie in the shop where she works she must maintain a pretence that he is just a customer. Nothing can hint at what happened between them the night before; of how he left that morning after a few hours sleep having eaten eggs she cooked for him. The world is expectation and compliance while out of sight there is passion and desire and beauty. Corker’s freedom is freedom from his sister. It is freedom to think and to dream. It is freedom to live as he chooses. To live as a Viennese would even if not in Vienna. 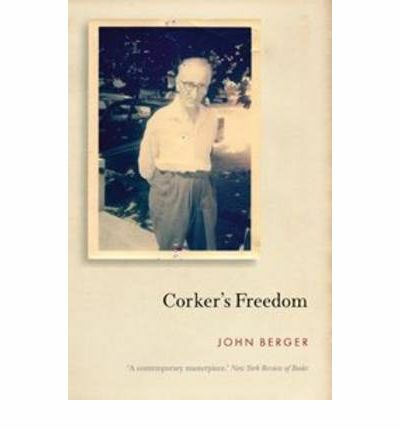 More than all of that though Corker’s freedom is something much more prosaic. Corker’s freedom is money. Corker’s business is successful. He has his own premises with rooms above them. He can afford to go on holidays. He can afford to leave his sister. He can afford dreams because he may be able to afford to fulfil them. The difference between Corker and his audience at the church hall is not that he has dreams and they do not; it is that he can afford dreams and they cannot. Alec is the only exception, and his dreams are mostly of Jackie’s thighs. There are times this is an extremely funny novel. Overall though it is suffused with melancholy and yearning. It’s daring in terms of structure and form and it’s provocative too. It’s not an unqualified success. I did get dangerously close to boredom, even irritation, during the first two-fifths or so, but I’m glad I read it and I’m glad too that Verso reissued it. While writing this I found that Tom had covered it over at A Common Reader, here. Tom’s take is as ever well worth reading. I also came across a review in the New Statesman, here. Like Tom I received my copy of this book as a review freebie from Verso. Books like this are exactly why publishers like Verso are important. I’ve recently had to abandon two great books shortly after starting them. Long hours at work have killed my concentration and led to too little time to really get stuck in to serious (or even unserious) fiction. Usually when I’m being killed at work I read pulp or sf. When you’re tired there’s a lot to be said for the security of a solid plot. This time though I had a craving for something different. Something challenging. A little while back Verso Books kindly sent me two early John Berger’s for review. I don’t normally accept review books, but for John Berger I make an exception. I wasn’t sure I’d be up to the Berger any more than I’d been up to the Proust or the Farrell that I’d abandoned, but I’d had them a while and thought I’d try. I wanted something to really engage with. I wanted to be forced to think (and not about work). I wanted to be made uncomfortable. I got all that. A Painter of Our Times is not an easy book. It’s not difficult to read. The language is lucid and skilful. The style is naturalistic. The challenge isn’t in how the book is written. The challenge is in its ideas. Janos Lavin is a Hungarian artist living in London. It’s the early 1950s. Hungary is in turmoil. Janos is a dedicated communist, but has left Hungary behind to pursue his art. He is talented, but largely unrecognised and his work is out of fashion. The book opens with his friend John going to his studio. Lavin has vanished and John wants to find out why. He finds a journal filled with Lavin’s thoughts, and the book is that journal interspersed with John’s own comments and reflections on its contents. Between Lavin’s own journal entries and John’s (usually longer) comments on Lavin’s life and the context of the entries a picture starts to form. Berger writes a portrait of Lavin: his work; his loves; his circle; and his struggle to reconcile his politics and his art. Before he left Hungary Levin was a revolutionary. He fled, while others stayed and fought – in some cases sacrificing their own artistic ambitions in order to become servants of the new socialist state. Lavin believes in the socialist struggle. He is a committed communist. What though is he doing for communism while living in London making paintings that nobody wants to see? That question runs right through this book. It is Lavin’s central dilemma. He is not troubled by his work not being popular. He’s comfortable with his own lack of success. His art though is not socialist art and he’s painfully aware that many in Hungary might even see it as bourgois. The question Lavin faces then is what is the point of his art? For Lavin that question arises due to his politics, but for the reader it’s part of a larger question that this book asks. What is the point of art at all? I’m at risk of making this sound dry and academic. It’s true that there are lengthy passages where Lavin writes about issues of Communist theory. To a modern reader much of this is as abstruse and as relevant as medieval theology. For all that though Berger isn’t a theoretician. Lavin convinces as a character. His problems with his wife, his varied relationships with his friends, all of this feels real. At one point Lavin talks about how cubism lets the artist see from more than one perspective at once. How it allows an artist to show the hollow of a knee and the kneecap in the same painting. Berger does something similar here with Lavin. Through Lavin’s journal we see one perspective. Through his friend John’s comments we see another. A Painter of Our Time is in that sense a cubist novel. We stood by the fireplace and made the usual kindling remarks. Berger shines too in the actual depiction of painting as a craft. Here painting is not some act of inspiration. It’s work. Lavin’s journal entries show him grappling for months with his paintings. He encounters problems with his compositions. He finds that a choice of colour or line puts a painting out of balance. He discovers that one element seems untrue when next to others. Lavin pounds away month after month trying different approaches and combinations until he gets slowly to something he is actually happy with. It is, quite simply, the finest depiction of the act of painting that I have ever read. Lavin is aware that he isn’t a genius, though he doesn’t doubt that he’s good. He’s not the only painter in the book. He has two students: one a local butcher who paints in his spare time and the other a working class man he teaches at a local art school who shows genuine talent and soon starts to outsell Lavin himself. That student is categorised by critics as being one of the “New Young Realists”, and having a label to hang on his work helps sell it. Other more fashionable and successful artists also make their appearances. A blank page of a sketch-book is a blank, white page. Make one mark on it, and and the edges of the pages are no longer simply where the paper was cut, they have become the borders of a microcosm. Make two marks on it of uneven pressure and the whiteness ceases to be whiteness and becomes opaque three-dimensional space that must be made less opaque and more and more lucid by every succeeding mark. That microcosm is filled with the potentiality of every proportion you have ever perceived or sensed. That space is filled with the potentiality of every form, sliding plane, hollow, point of contact, passage of separation you have ever set hand or eye on. And it does not stop even there, For, after a few more marks, there is air, there is pressure and therefore there is bulk and weight. And this scale is then filled with the potentiality of every degree of hardness, yieldingness, force of movement, activeness and passiveness that you have ever buried your head in or knocked it against. The problem Lavin faces is one that he believes all artists of his time face. The world is being transformed by political struggles in which people are dying. In Africa and Asia people are starving. In Eastern Europe they are trying to create a new society and a new model of humanity. In London he paints landscapes and portraits rather than factories and workers’ collectives. How can he justify the luxury of painting what he wants? How can he justify the indulgence of art which expresses only his vision and which does nothing to advance the revolution? I fill in the time. Only very seldom can we be sure what any one of our works communicates. So much lies behind each one. It is impossible for me to know exactly what The Games will mean for others. Anyway this will change. What is most striking about it today may seem irrelevant in twenty years’ time. This abundance of the artist’s intentions is what makes the problem of propaganda so complicated. Nevertheless, it is the problem of art of our time. There is one thing about myself of which I am sure: I am a modern painter, and I am so because I have lived all my life with the problem of propaganda – the problem of facing other men as a man. I would like to write about this some time. I know about it. But now we are going to the cinema. I love that last line. Politics and art are all very well, but daily life doesn’t care much about either. The point from which politics starts for me is hunger. Nothing less. I feel the same, and yet I consider art more important than politics. Does that mean I consider a Degas more important than a hungry child? Put like that, of course not. But would I take funding from the arts and transfer it to overseas aid? Probably not. What then are my real priorities? How can I justify them? That’s what makes Berger so interesting. That’s what makes this challenging. I found myself thinking about my own political history and the choices I’ve made. I found myself thinking about what I consider important and whether what I value has value. Lots of authors raise questions and explore answers. Berger does something more interesting. He raises questions and leaves the reader to explore answers. That’s about as challenging as it gets. One of the blogs I follow is Kevinfromcanada. It’s a great blog, but recently Kevin (the blogger in question) did me a real favour. He started a comments thread in which you listed the last five books you’d read and he recommended a book to you that you hadn’t. 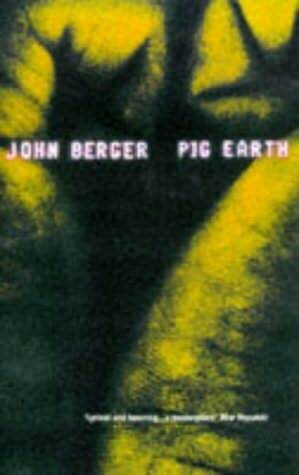 My recommendation was John Berger’s Pig Earth. John Berger was recently listed for the Booker for his novel From A to X. Nothing I read about that novel tempted me. His 1972 Booker winner, G, didn’t tempt me much either. In fact, it’s safe to say without Kevin’s suggestion I’d never have picked up a Berger. We all only have so much time to read. We all have to decide what to read on the basis of partial information (a few reviews, maybe a recommendation, a browse in a shop, that sort of thing). Sometimes we make good choices, but we have to accept that sometimes we’ll make bad choices and when we choose not to read an author we may never know whether we made the right call. So it goes, given a finite lifespan what alternative is there? So, it doesn’t bother me that I was so wrong about Berger. It doesn’t bother me that I found Pig Earth a subtle and beautiful work and that left to my own devices I’d never have read it. That’s the way it goes. We take decisions as best we can and we have to accept that sometimes we’ll get it wrong. The happy part of the story is that Kevin didn’t get it wrong. His recommendation was spot on. Kevin, if you see this, thanks. So, by this point some of you might be wondering what Pig Earth is and what it’s about. Well, the second of those questions is a lot easier to answer than the first. What is Pig Earth? It’s an essay on the economic role of the peasant through history as viewed from a Marxist perspective. It’s also a short story collection, it’s several poems and it’s a number of sketches. It’s a description of the life of French peasants written (in 1979) as their way of life comes to an end. What is Pig Earth about? It’s about the peasant’s experience and perspective. In that way it’s quite revolutionary. Most fiction (and most history) treats peasants as an other. As a group that protagonists may encounter or may witness but who have no uninterpreted voice of their own within the narrative. 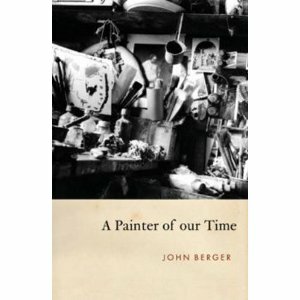 Berger uses his various forms (the essay, the poetry, the stories, the sketches) to bring out the peasant’s own voice. The issue the peasant faces is that they alone of all elements of society produce that which they need to survive. Before they are permitted to enjoy what they produce however, other elements of society extract a surplus from them. In most societies the state extracts the surplus from the peasant in order to feed the manors, towns and cities without necessarily referencing how much surplus there actually is. Put another way, the state works out what it needs, and what it needs is deemed to be surplus even if that actually leaves the peasant without enough for his own survival. The peasant sees life as an interlude because of the dual contrary movement through time of his thoughts and feelings which in turn derives from the dual nature of the peasant economy. His dream is to return to a life that is not handicapped. His determination is to hand on the means of survival (if possible made more secure, compared to what he inherited) to his children. His ideals are located in the past; his obligations are to the future, which he himself will not live to see. After his death he will not be transported into the future – his notion of immortality is different: he will return to the past. The essay then helps the reader understand the broader socioeconomics that shape the peasant’s world. The rest of the book explores that world. It also explores how that world is coming to an end as industrialisation and urbanisation slowly crowd the peasant out and render them unnecessary. After literally millennia suffering from the extraction of an often fictional surplus, the peasant is themselves becoming surplus. By now this probably all sounds incredibly dreary and academic. It’s not. Once you’re into the stories the early work of engaging with the essay is fully rewarded. Berger has a spare and precise prose style which is a pleasure to read. He uses that economy of language to let the reader form their own impressions. As I read the stories and poems and looked at the drawings I began to notice patterns. I noticed descriptions of winter that made me feel the cold as I read them in full summer heat. I noticed the constant nearness of death – several stories involve animals being slaughtered, and more than one involves people dying too (of old age or accidents). I noticed that almost everyone in the stories was old, often in their 70s. I started to wonder where the younger people were, and then I realised that of course they were no longer there. They’d gone to the cities to find work and only returned for the occasional visit. I noticed too that as the stories progressed the themes slowly shifted. Early on the stories describe the typical life of the farm. Later stories deal with taxes or the introduction of machinery. The final trio of connected stories address the growing importance of money in the peasant economy, where once it was near irrelevant. The changing themes of the stories itself tells the greater story of the eclipse of the peasant class. Berger is an exceptionally skilled writer in other ways. Here he uses every technique available to draw the reader into this utterly unfamiliar world. I grew up reading science fiction – often tales of great star spanning empires inhabited by robots and aliens. Nothing in those tales though (which I still love on occasion) is so different to my own life as that of Berger’s late 1970s’ peasantry. In Pig Earth Berger forced me to engage with what he had to say. He did so by changing technique as I progressed through the book. After the essay, a story; then a poem; then a story told in reverse chronological order (a literary trick I normally dislike, but which he pulls off); then another poem; and later a longer story and later yet a triptych of connected stories. What all those changes meant was that I couldn’t just rush through it all. I couldn’t sit down, read the stories and just turn the pages. I kept having to pause and to consider what I was reading. What I was reading was so good that those pauses gave me space to realise quite how powerful his work was. I’ve already written a great deal and I won’t add much more. I will say though that as well as everything else Pig Earth contains some wonderfully memorable and convincing characters. Best of these is the central figure of that final short story trilogy, Lucie Cabrol. A woman exiled by her own family to a remote mountain hut but whose vitality shines off the page. The depth of the research that went into this book is evident. It’s uncompromisingly realistic. Despite both those points though this is not a dry book. It’s brimming with humanity. Frankly, I think it’s rather a triumph. So, thanks again Kevin. Pig Earth is the first of a trilogy, and I’ll be picking up the second and third.